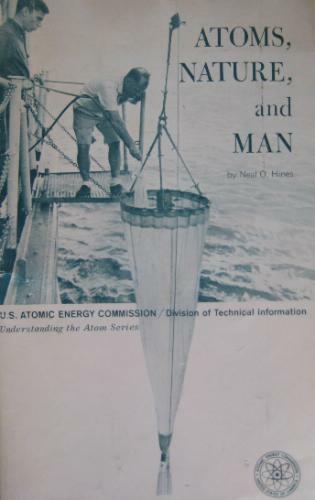 This booklet describes the environmental investigations that have been conducted with the aid of the atom since the first atomic detonation near Alamogordo, New Mexico, in 1945. The story is one of beginnings that point the way, it is hoped, to a new understanding of the world in the atomic future. Nuclear Medicine is a fascinating application of nuclear physics. The first ten chapters of this book support a basic introductory course in an early semester of an undergraduate program. Additional chapters cover more advanced topics in this field. This book is dedicated to students and teachers involved in programmes that train professionals for work in radiation oncology. It provides a compilation of facts on the physics as applied to radiation oncology and it is useful to graduate students. You don't have to be a nuclear physicist to understand nuclear science. The Wall Chart was created to explain to a broad audience the basic concepts of nuclear structure, radioactivity, and nuclear reactions as well as to highlight current research.